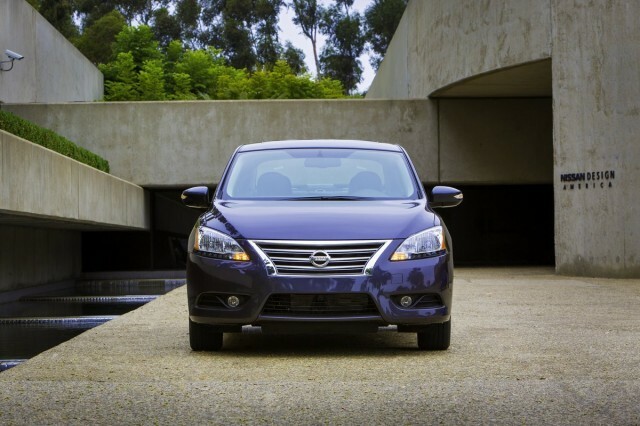 On Friday, just before the Labor Day weekend started, Nissan quietly released details of the much-needed update to its Sentra compact sedan. Last redesigned some six years ago, the new, leaner 2013 Sentra has undergone a complete redesign in the name of improving its gas mileage, and is essentially the same car as the 2013 Sylphy we saw at the Beijing Auto Show earlier this year. It isn’t just new looks. The new 2013 Sentra has been to the Gym, with Nissan claiming a highway gas mileage figure of 40 mpg and a combined gas mileage of 34 mpg. That’s an improvement of 4mpg combined and 6 mpg highway on the most efficient 2012 Sentra. To get the boost in efficiency, Nissan’s engineers substantially changed the Sentra’s stance, adding 0.6 inches to its wheelbase, increasing the overall length by 2.3 inches, decreasing front overhang and increasing rear overhang. Nissan has also narrowed the car by 1.2 inches, reduced its height by 0.6 inches, and made it an impressive 150 pounds lighter. A 0.29 coefficient of drag, substantially better than the 0.34 of the outgoing model. Less drag means less energy is required to move the 2013 Sentra through the air, meaning Nissan was able to downsize its engine without affecting performance. Gone is the old 2.0-liter four-cylinder of past models, and in its place, a new 1.8-liter, four-cylinder engine rated at 130 horsepower and 128 pound feet of torque. Lighter and slightly less powerful than the outgoing engine, the new engine includes twin Continuously Variable Timing Control, which allows for fine control of both exhaust and intake valve opening. It also features beehive valve springs and new, low-friction valve coating which both improves fuel economy and improves engine smoothness. While Nissan will offer a 6-speed manual option on its base-level 2013 Sentra, all other models feature an all-new Continuously-Variable Transmission (CVT) which Nissan claims is up to 30 percent more efficient than its previous CVT transmissions. 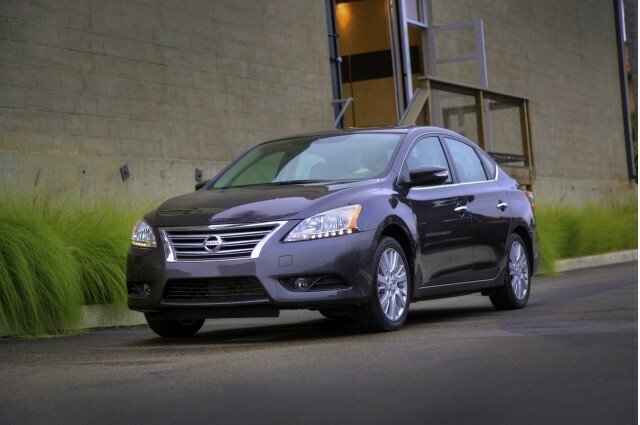 The improvements to the 2013 Sentra aren’t just limited to exterior styling and economy however. Inside, you’ll find a new interior, complete with soft-touch instrument panel, dual-zone climate control, keyless entry, twin 12-volt power outlets, improved legroom, 60/40 split rear seat, and larger, 15.1 cubic feet trunk. There are other improvements too, including a new navigation system and a hands-free system that lets drivers text message without touching their cell phones. Nissan has not announced official pricing or launch date yet, but it has already launched a new microsite for those interested in finding out more about its completely rebuilt compact sedan.